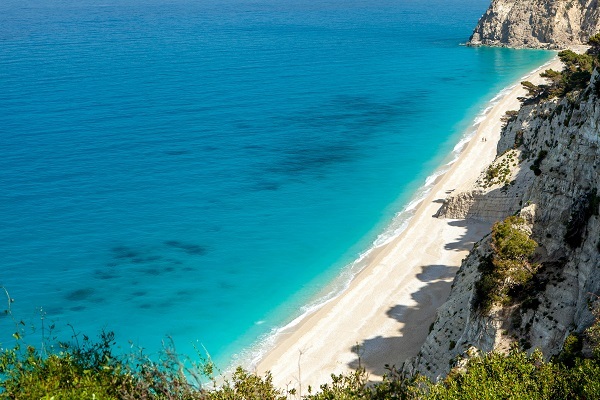 In the far South West of Lefkada island, Egremni beach is one of Lefkas’ most beautiful beaches, and if you are happy to climb lots of steps it is a beach that you should visit at least once during your holiday. The road which leads down to Egremni beach begins on the right, a few kilometres south of Athani Village. It begins as alphalt and becomes more of a dirt track towards the end, and there are a lot of hairpins. You cannot drive all the way to the beach. When the road ends you must park the car (in gear ! ), and walk down to the end of the track, eventually climbing down 296 steps to the beach! Your reward, when you make it (if you make it) is an endless silver beach made of sand, pebbles and shingle, stretching away into the distance. During the mid-summer months there is a hut selling drinks and snacks and renting a few sun beds and umbrellas near the bottom of the steps. Quieter sunbathing can be found at the far north and south ends of Gialos beach, only occasionally disturbed at the southern end by a passing day trip boat. Gialos beach shelves steeply, and there may be occasional currents and unexpected strong waves because of the large ferries passing in the distance – so beware! 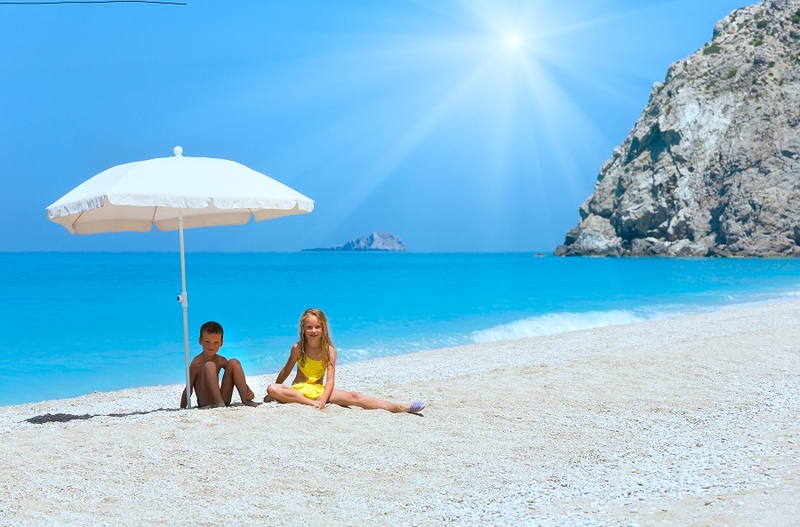 Gialos beach is the perfect place to relax and forget all your worries and problems. Except for one – how are you going to get back up those 296 steps?